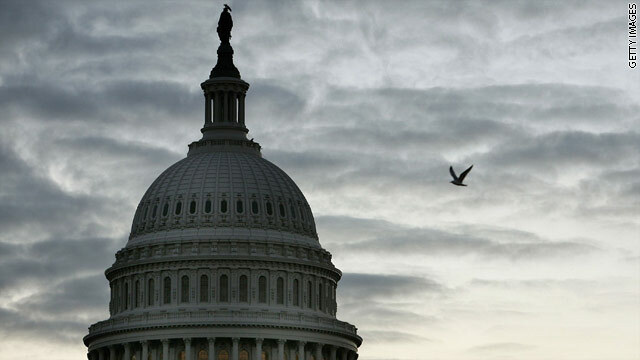 The debate over the sequester – the forced budget cuts that went into effect Friday – seems to have generated a lot of heat, but little light. So I have been studying the issue to try to fully understand what is going on. The first question: how big are these cuts? Although they are not draconian, they are still significant. Why? For a start, you will have to find a year’s worth of savings in about seven or eight months, since that's all that's left of the year. But the big problem is that there are large parts of the budget that are either effectively exempt or where there are limits to how much can be cut. This means that the remaining parts of the budget are facing significant shrinkage. It’s important to remember when thinking about government spending it has to rise every year even with no additional functions. The American population is growing, plus there is inflation of around 2 percent these days. There is room for discussion on how exactly factors like inflation should be evaluated, but some increase in spending is necessary if we are just to stay even. Of course, there are areas that should actually be cut or eliminated. But politicians rarely specify those and the truth is, the big money is in all the popular middle class programs (social security, Medicare, interest deduction, local tax deduction), most of which actually have relatively little waste and abuse in them. The problem with the sequester as a tool for keeping spending down (and keep in mind it was designed to be so unpalatable that lawmakers would be forced to find better alternatives) is not the size of cuts, but their nature. Imagine you had two pools of spending – one is made up of things that you should be cut, the other is the stuff you shouldn’t be chopping. What we are doing with the sequester is cutting all the stuff we should not and leaving untouched all the stuff we should cut. The big problems for the U.S. federal budget are tied to entitlement spending – that’s the core of the long term debt problem the United States has. And yet that is virtually untouched in the sequester. Instead we are cutting so-called discretionary spending, which will mean, for example, that our infrastructure is allowed to decay even more. We already have a terrible deficit in infrastructure spending. As I have noted before, a study of U.S. infrastructure by the American Society of Civil Engineers in 2009 found that $2.2 trillion needs to be spent over five years to bring this country’s roads, bridges, airports and associated systems up to grade. In addition, the forced budget cuts also risk more cuts in science, technology and research – areas where the government is already at 30 and 40 year lows in investment. We are also going to cut back on education. We are cutting all these programs that are essential investments in future growth, yet we are doing little about entitlement spending, which is essentially current consumption. From the point of view of setting this country on a smart, growth-orientated path, these cuts are a terrible strategy for the United States. We only need to look at what has been going on in Europe to see that implementing harsh spending cuts when an economy is still fragile, and at a time when the private sector is still in the process of deleveraging, is not a good idea – it only depresses the economy. Addressing Congress less than a week ago, Fed Chairman Ben Bernanke warned that the budget cuts risked slowing the U.S. economy. He suggested that the best solution would be not to do the cuts now, but to phase in larger cuts – presumably in entitlement programs – later. That Washington has been unable to act on such advice is a damning indictment of the way in which our government functions these days. Indeed, these cuts are less about immediate economic impact than they are about the stupidity of American government and the failures of the political system to put the country’s long-term interests first. « Previous entryShould Kerry be visiting China, Japan first? The life-cycle cost of an F35 is estimated at $618 million per plane. Our Govt has contracted for 2443 units. Food stamps for a family of 4 is equal to roughly $500/month or 103,000 family units covered for a year. For one plane. This is a choice that the US has chosen planes over people. Why in Saudi Arabia they forbid Christian to go to mass on Sunday? First, you voted them into power. Blame yourselves. Second, stop listening to the BS from big business. They've been handing us excuses for years. They know most people never leave the USA and are ignorant of the truths in other countries. For instance, they would tell you places like Germany are socialist and the economy is ruined. Yet, I can walk into any discount store, such as Kik or Tedi and find 99% of the products are made in Germany. Go ahead and try to find that in the USA. Mind you, this is with a 19% VAT, which included into the price and still CHEAPER! US corporations have benefited from robotics, foreign labor, and buying the government for years. They have gotten nearly everything they wanted and still.....still...sell out the citizens of the United States. They hate employing them, but sure love those credit cards!!! They are vultures. I every time download a full movie in parts, that鎶?always present at YouTube, since my net connection is extremely slow and YouTube fulfils my wishes.